Bleachbit is a cool and awesome program that can be used to clean up the system.BleachBit can be used in either Windows or Linux System .In this tutorial, I will share on How to install and use BleachBit in Kali Linux. 1.1) Update Kali Linux system . 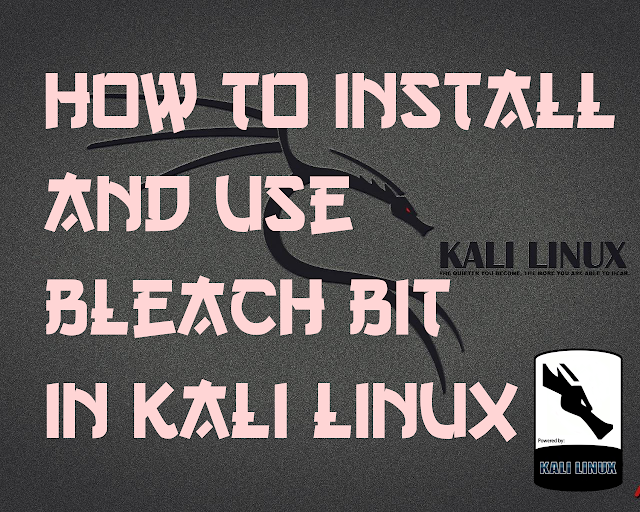 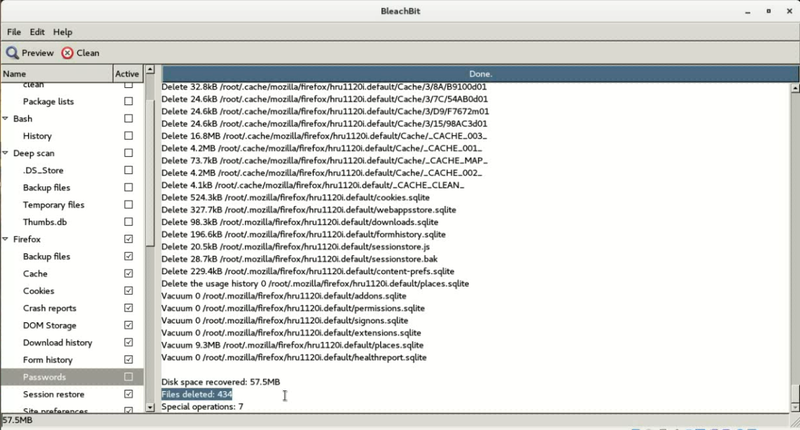 2) How to use BleachBit . 2.2) Set the preferences . 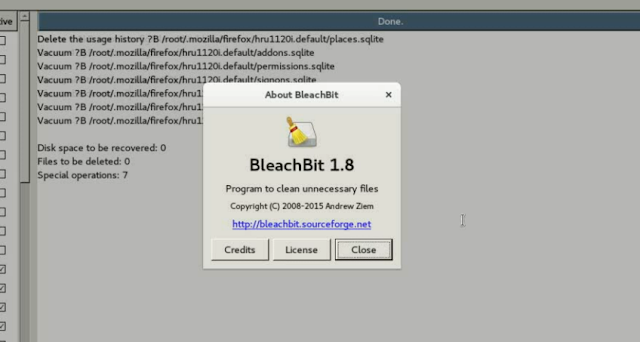 Once you log into Bleach Bit, you will be introduced to Preferences panel to configure the software according to your needs . There are few panels settings that you can play around . 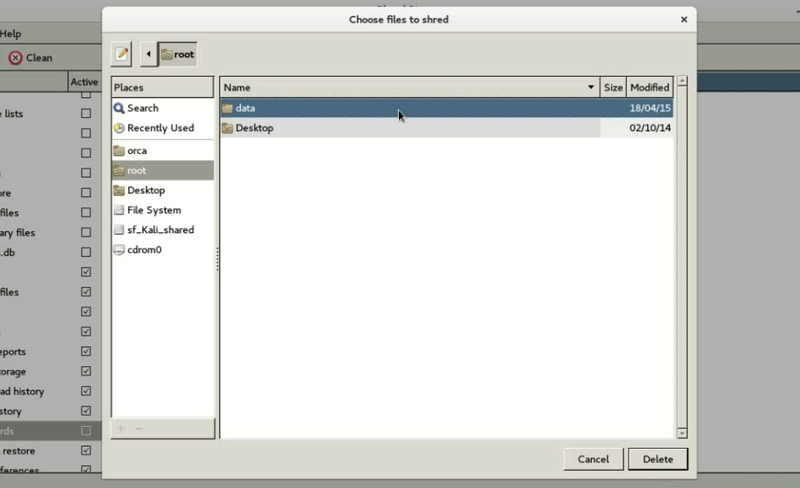 2.3) On the panel left hand corner,there are boxes of files and folders that you can choose to clean.Scroll down and tick for the files and folders boxes that you want to delete. 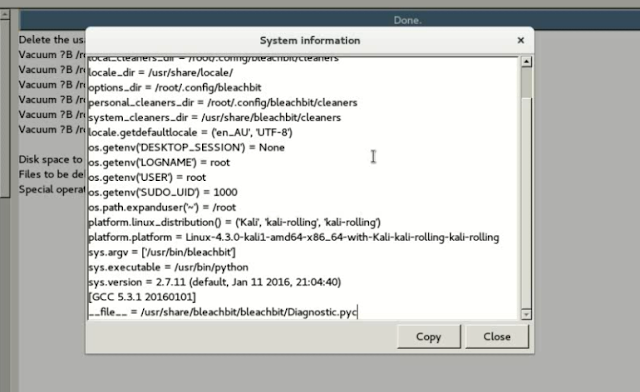 2.4) Once you are done with the files and folders, click "Clean" to clean your system . 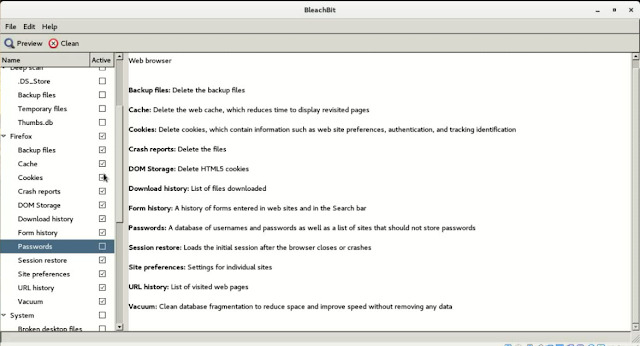 2.5) Click "Delete" to confirm delete. 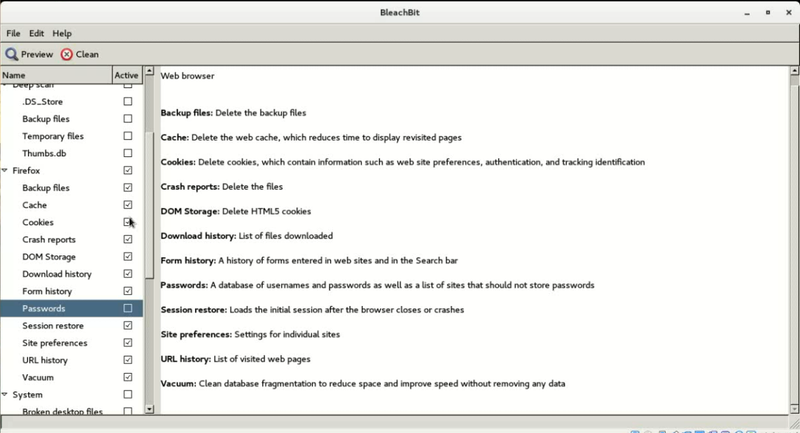 3.1) BleachBit can also be used to shred files ,folders and make free space.Go to the top panel and choose "File" to check on this . 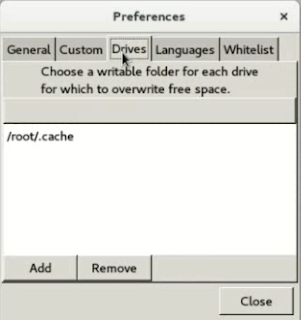 Choose the files to delete and click "Delete" . 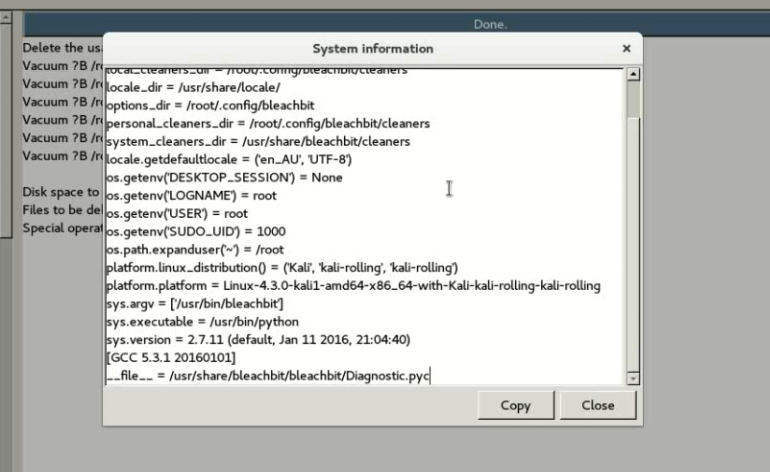 3.2) On top panel in "Help" section, you can check the system information . 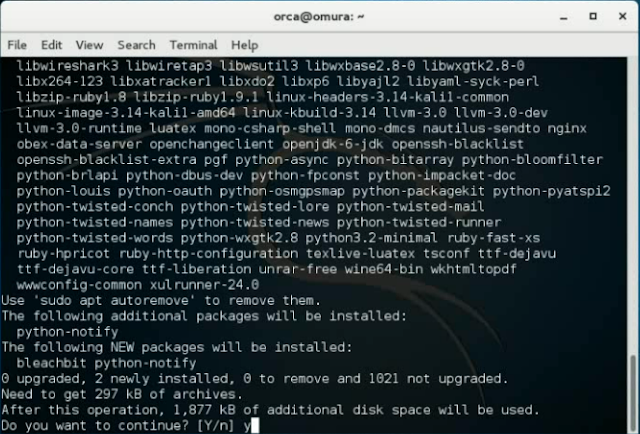 Read Previous : How to set static IP address and networking details in Kali Linux.